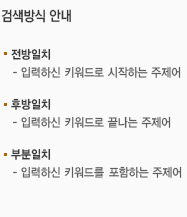 국립중앙도서관, 국립어린이청소년도서관, 국립세종도서관, 협약된 공공도서관내에서 이용이 가능합니다. 정기이용증 소지자는 이용제한이 없습니다. 본 연구는 국내 입국 초기 단계와 지역사회 정착 단계에 있는 북한이탈주민의 정신건강 문제를 비교하고, 성별과 연령에 따라 차이가 있는지 살펴보고자 하였다. 연구 대상은 2009년에 하나원에서 사회적응교육을 받은 교육생 282명과 지역사회에 거주하고 있는 북한이탈주민 202명이었다. 두 집단 간에 북한이탈주민용 간이심리상태검사(Brief Psychological State Inventory for North Korean Refugees; BPSI-NKR)의 9개 심리적 증상 척도(외상 후 스트레스, 불안, 우울, 신체화, 대인 예민, 분노, 정신증, 가족 문제, 음주 문제)에서 차이가 있는지 비교하였으며, 성별과 연령에 따른 차이를 검증하였다. 변량분석 결과, 심리적 증상별로 성별과 연령, 거주 상태의 주효과가 있었다. 여성이 남성보다 외상 후 스트레스, 불안, 우울, 신체화, 대인 예민 수준이 높았고, 남성은 여성에 비해 음주 문제가 많았다. 30대와 40대가 20대에 비해 외상 후 스트레스, 신체화, 대인 예민, 분노 수준이 높았으며, 지역사회 거주자가 하나원 교육생에 비해 우울, 신체화, 분노, 정신증, 가족 문제와 음주 문제가 많았다. 외상 후 스트레스, 불안, 우울, 정신증은 성별과 거주 상태, 연령과 거주상태, 또는 성별과 연령의 상호작용이 유의미하였다. 단순효과 분석 결과, 20대와 40대는 하나원과 지역사회 거주자 간에 외상 후 스트레스와 불안 수준에 차이가 없었지만, 30대는 하나원보다 지역사회 거주자가 더 높았다. 여성은 거주 상태와 무관하게 우울감이 높았지만, 남성은 지역사회 거주자의 우울 수준이 유의하게 높았고, 20대와는 달리 30대 이상은 하나원보다 지역사회에서 우울 수준이 높았다. 남성의 정신증 수준은 하나원에서는 연령에 따라 차이가 없었지만, 지역사회에서는 유의한 차이를 보였고, 여성은 하나원에 비해 지역사회 거주자의 정신증 수준이 높았지만 연령에 따른 차이는 없었다. 이러한 연구 결과가 북한이탈주민의 심리적 적응과 치료적 개입에서 시사하는 점을 논의하였다. This study compared the mental health problems of North Korean Refugees in the initial stage(Hanawon sample: 282) and living in the South Korean society(Community sample: 202) according to their gender and age. The scores of 9 subscales(Post Traumatic Stress, PTS; Anxiety, ANX; Depression, DEP; Somatization, SOM; Interpersonal Sensitivity, IS; Anger, ANG; Psycosis, PSY; Family Problem, FP; Alcohol Problem, AP) of BPSI-NKR(Brief Psychological State Inventory for North Korean Refugees) were compared across the settlement stage(Hanawon sample vs Community sample), gender and age. As a result of MANOVA, main effects of gender, age, and settlement stage on the several scales were significant. Female had the higher scores on PTS, ANX, DEP, SOM, IS scales than male, male had the higher scores on AP scale than female. 30s and 40s had the higher scores on PTS, SOM, IS, ANG scales than 20s, and Community sample had the higher scores on DEP, SOM, ANG, PSY, FP and AP scales than Hanawon sample. Interaction effect of gender×settlement stage, age×settlement stage, and gender×age on PTS, ANX, DEP, PSY scales were significant. Analysis of simple main effect showed that 20s and 40s had no difference on PTS and ANX scores, but 30s educated in Hanawon had the significantly higher scores on that scales than Community sample. Female showed high scores on DEP scale regardless of the settlement stage, but male living in community had the significantly higher score than Hanawon sample. 20s showed low scores on DEP scale both Hanawon and Community sample, in the case of over the 30s living in community showed higher scores than Hanawon sample. As regards PSY scale, male presented the similar level in Hanawon according to their age, but significantly differentiated in community. Female in Community sample showed higher score than Hanawon sample, but there was no difference according to age. Based on these result, therapeutic approach for North Korean Refugees were discussed.